In a tiny town at the end of the Appalachian Mountains, a soft twinkling music can be heard. Wind chimes. Beautiful Glass Wind Chimes created in an unconventional way. We are excited to give you a glimpse into this hand crafted process that is exercising a little ingenuity with recycled materials. All the chimes start from the same humble beginnings- wine bottles. The bottles are cleaned up, cut to size and then kiln fired. After firing, the clear circles are painted bright colors, while the natural colored circles are left unpainted. Here are the marbles after kiln firing, the little dots inside the circles. A plasma cutter is used to cut the metal tops. All glass tops are made one at a time. Once the circles are ready to go, they’re laid out in boxes for easy assembly. Each chime is hung to order, packed up and shipped out all over the country. 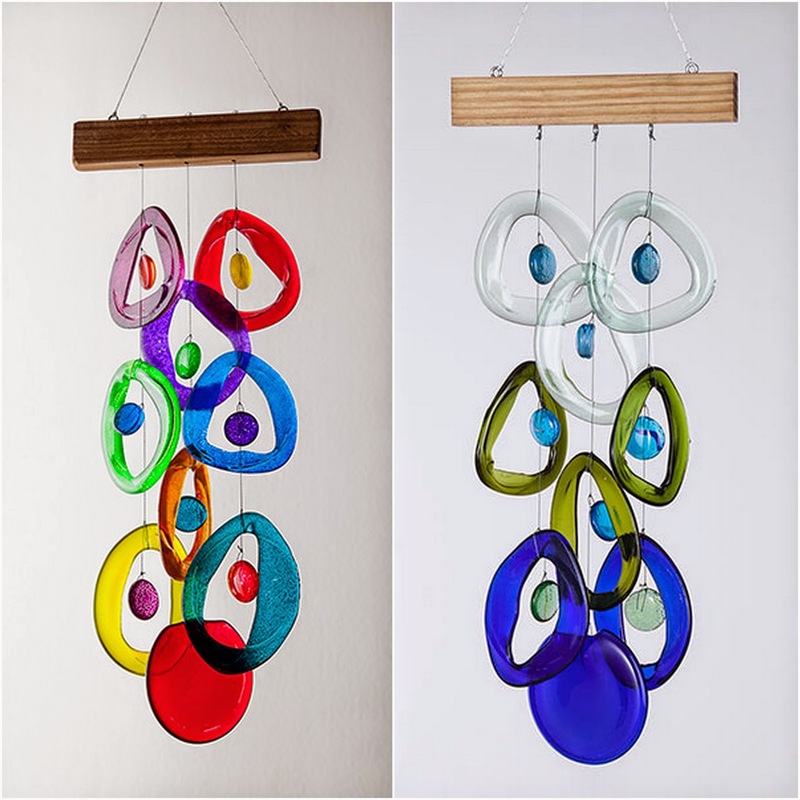 Click here to purchase your one-of-a-kind Glass Wind Chime! I love, love the sound they make.